If you have been diagnosed with Keratoconus, you are probably experiencing some form of blurry vision, glares, streaks of light, or halos in your eyesight. While an initial diagnosis can feel overwhelming, after some time you may wonder why your Keratoconus gets worse if left untreated. The deterioration of your vision will significantly impact your life. Knowing why your Keratoconus keeps getting worse is important in stopping its progression. Keratoconus causes deterioration in vision through the disfiguration of the cornea. The cornea is the outer clear lens, often considered the windshield of the eye. A normal cornea has a dome shape and it held together by tiny fibers of protein called collagen. Collagen holds the cornea in place and keeps the cornea from bulging. When the fibers are weakened, they cannot hold their shape. This causes the cornea to change from a dome to more cone-like in shape. When the Collagen continues to weaken, the Keratoconus gets worse, and there are factors that contribute to this. Keratoconus progression is unpredictable. This process can happen over several years or extremely quickly, but generally it begins during puberty and progresses fastest up to age 25. The younger the patient is at the time of diagnosis the more likely they are to experience a significant progression of symptoms. Researchers at the University of Texas Southwestern Medical School found that there is in fact, an inverse relationship between age and severity of Keratoconus. The speed at which this transformation takes place explains why Keratoconus gets worse faster in some people and slower in others, but often stabilizes in people over 25 years old. For most people, the progression is slow and often ceases at some point. Ultimately, it is very difficult to predict as the speed is unique to each individual. 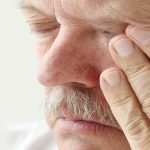 Eye rubbing has been connected to worsening the progression of Keratoconus, therefore it is essential to refrain from rubbing your eyes as much as possible. It is important to control your allergies which can cause itchy eyes, so that eye rubbing is avoided. If you rub your eyes too often or too hard, it can scratch or damage the cornea, thus accelerating the progression. Contact lenses that are not correctly fitted is another reason that Keratoconus gets worse. If the lenses are not accurately fitted on someone with Keratoconus, the lenses can rub against the diseased part of the cornea. The excessive rubbing causes symptoms to worsen by aggravating the already thin cornea. In order to minimize your risk of Keratoconus progression, it is important to have an eye doctor that specializes in Keratoconus contact lenses. Without frequent follow-ups with your Keratoconus specialist to monitor the progression, your Keratoconus can get worse. 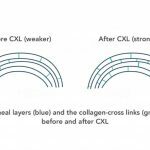 However, both contacts that fit correctly and collagen cross crosslinking can slow the progression of Keratoconus. In any case, changes to the structure of the cornea can make it difficult for the eye to focus. Does your Keratoconus get worse over time? Successful management of Keratoconus requires frequent eye exams for your entire life. Dr. Leonard is a Keratoconus specialist that specializes in custom contact lenses for patients with Keratoconus. Exams are important to make sure that your Keratoconus is not getting worse, that your cornea remains stable and that your visual acuity is maintained. Depending on the specific characteristics of your Keratoconus, Dr. Barry Leonard & Associates are here to help you find the right treatment strategy. Call Dr. Leonard’s office now at 818-891-6711 or make an appointment online.